Goodman heat pumps offer lower prices backed by great warranties. They are the best value in the industry when you’re looking for a heat pump to last 15+ years. They might not have quite the quality of top Carrier Infinity or Trane XL models, but the prices are very attractive and Goodman builds consumer confidence with some of the best warranties in the industry on top models. When value counts—a good product at a fair price—Goodman is definitely worth a look. Here is an overview of the Goodman heat pumps lineup. Use it to consider which models you might want to learn more about and then search our site for those models. 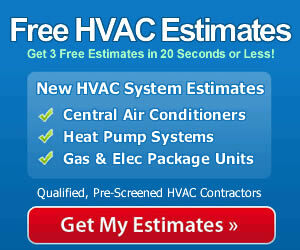 We include HVAC prices in all our heat pump reviews to give you all the data you need to make an informed decision. Goodman has a complete lineup of heat pumps, ranging from 18 SEER models that are a good choice where summers are very hot to 13 SEER models that are ideal for temperate climates and for installation in part-time locations where low cost is the most important factor. Goodman DSZC heat pumps: Both of these 2-stage heat pumps come with a lifetime compressor warranty and a 10-year parts warranty. Only sister-company Amana comes close to that kind of warranty. The models are the Goodman DSZC18 (18 SEER, 9.5 HSPF) and the Goodman DSZC16 (16 SEER, 9.5 HSPF). Goodman SSZ heat pumps: These single-stage Energy Star rated heat pumps also have a lifetime limited warranty on the compressor! The 2 models are the Goodman SSZ16 (16 SEER, 9.5 HSPF) and the Goodman SSZ14 (15 SEER, 9.0 HSPF). Goodman GSZ13 heat pump: This most affordable Goodman heat pump is covered by a 10-year warranty. It’s a 13 SEER, 8.0 HSPF model. Which Goodman Heat Pump Should You Choose? The hotter the climate is where you live, the more efficient your heat pump should be. If you live where winters are very cold, consider the DSZC heat pumps since they are dual fuel compatible. Put them in a split system with an efficient Goodman gas furnace and they will alternate heating. The heat pump will do the job when temperatures are above freezing since heat pumps cost less to run than gas furnaces. Since heat pumps don’t work when temps are below freezing, the furnace can be programmed to take over at that point. In warm and cool climates, the other Goodman heat pumps are an option. The least efficient, and the least expensive model, the Goodman GSZ13, is very popular for temperature climates and for installation where low cost is more important than efficiency. For that reason, it is often chosen for guest apartments, vacation homes and cabin getaways. As noted, these are very affordable heat pumps. Here’s a look at heat pump prices you can compare head to head with other brands on our site. See Goodman heat pump reviews for specific pricing. When you compare heat pump prices, you’ll see how affordable they are; when you compare warranties, you’ll see what a great value they offer.